Welcome to the Secular Academy! We are now offering the Secular Academy’s Certificate Program! Partners for Secular Activism is a 501c3 nonprofit educational project, founded in 2014 by John Shook, PhD. Dr. Shook worked with the founder of secular humanism, Paul Kurtz, for several years to develop this accessible kind of online education. 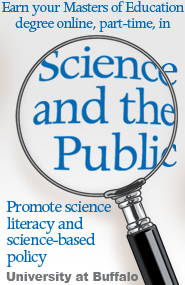 We also founded the ‘Science and the Public’ Master’s Program – the part-time, online Masters of Education degree from the University at Buffalo, New York. This is America’s only entirely online program for the secular promotion of science and science-based policy. SecularActivism.org is a 501c3 nonprofit educational project and nothing like those for-profit ventures. Our instructors keep half the fees, because they spend many hours online with their students; the other half covers the website/online assistance/accounting costs. We don’t do MOOCs – those “massively open online courses” where watching videos of a professor’s lecturing won’t ever get your questions answered. Instead, we search for people with practical expertise and leadership abilities who want to communicate directly with you – they offer Very Interactive Enrichment Webinars, or VIEWS. Online classrooms and their discussion threads are accessible 24/7, so you can participate at your own pace, at any hour of the day when there’s some time in your busy schedule. Your instructor(s) will not be on live video and you won’t be either – there is nothing on camera and no particular time of day you have to be present. If an instructor posts a prerecorded video, you can view it at your convenience. There’s nothing ‘live’ to be missed, and instructors respond individually and promptly to all questions and comments. Instructors lead everyone through lectures and readings, but no attendance is taken and there are no assignments to complete – instructors are always available when you are ready to engage them about what is on your mind. You can see an online classroom. We use Moodle, and as Moodle explains, it is a virtual classroom system for tens of thousands of learning environments globally, including several university systems – more than 65 million users makes it the world’s most widely used learning platform. Contact instructors for more details about their courses through the links provided within their posted announcements below. Wondering where you’d find the time? 30 minutes one day, 45 minutes another – a handful of hours add up over a week, entirely under your control. Admit it – you already spend that kind of time on your favorite social media sites. In class, you can be more of a listener (well, a reader) or more of a talker, whenever the mood strikes. By the end of the month, you will have had as much engagement and conversation as getting away for a two-day retreat. Leaving town for a while? Your classroom goes with you on a smartphone or a tablet, even on the beach. See you in class!